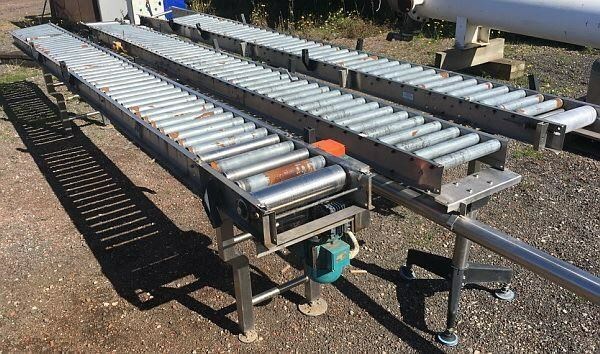 Roller conveyor with powered head drum on one length. 15m in total length ( 3 lengths), can be used as gravity roller conveyor or a belt fitted and driven via the powered head drum. 15m x 350mm wide, st/steel frame and legs.